Exploring key challenges facing the development of effective and ethical counter terrorism strategy in a liberal democracy. Liberal democracies face numerous, complex and evolving terrorist threats. Globalisation, demographic change, social cohesion, marginalisation and social mobility are increasingly securitised as policy makers seek to deal with the causes of domestic and international terrorism. Ethno-nationalism, separatism and threats from radical left and right wing terrorists historically dogged liberal Western governments with extensive campaigns waged across Europe by the Provisional Irish Republican Army (PIRA) and others. The rise and escalating threat of Jihadi terrorism has been punctuated by atrocities including 9/11, the 7/7 London bombings and multi-casualty attacks against civilians in Madrid, Paris, Nice, Brussels and Berlin. 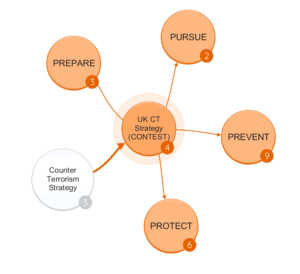 Post 9/11 the United Kingdom formulated its counter terrorism strategy (CONTEST) comprising 4 integrated sub-strategies (Foley, 2014, pp. 78-84) aimed at preventing the radicalisation and recruitment of terrorists (PREVENT), disrupting plots, pursuing terrorists and their supporters through law enforcement, national and international judicial systems (PURSUE), assessing and managing terrorist threats against UK critical national infrastructure, transport systems and foreign interests (PROTECT) and integrating and building responsiveness and resilience to mitigate the effects of successful terrorist actions (PREPARE). Domestic anti-terrorism operations in Northern Ireland and UK combat roles in Afghanistan, Libya, Iraq and Syria underscore the complexity of defeating highly differentiated terrorist and insurgency threats in heterogeneous theatres. Irrespective of circumstances, the UK counter-terrorism response must comply with international conventions and domestic laws including the European Convention on Human Rights (ECHR), the United Kingdom’s Human Rights Act (Whittaker, 2009, pp. 61-70) and the Regulation of Investigatory Powers Act (RIPA). Using the 4 sub-strategies of CONTEST as a thematic framework and the UK as a representative liberal democracy, the challenge of designing robust counter-terrorism policy is presented and juxtaposed with ethical and moral considerations for effective implementation, monitoring and review. In public discourse, PREVENT (‘CONTEST: The United Kingdom’s Strategy for Countering Terrorism’, 2011, pp. 58-78) is perhaps the best known of the sub-strategies. Its objective is to thwart terrorist recruitment through education, community leadership, social engagement, counter-narratives and identifying and engaging ‘at risk’ individuals. 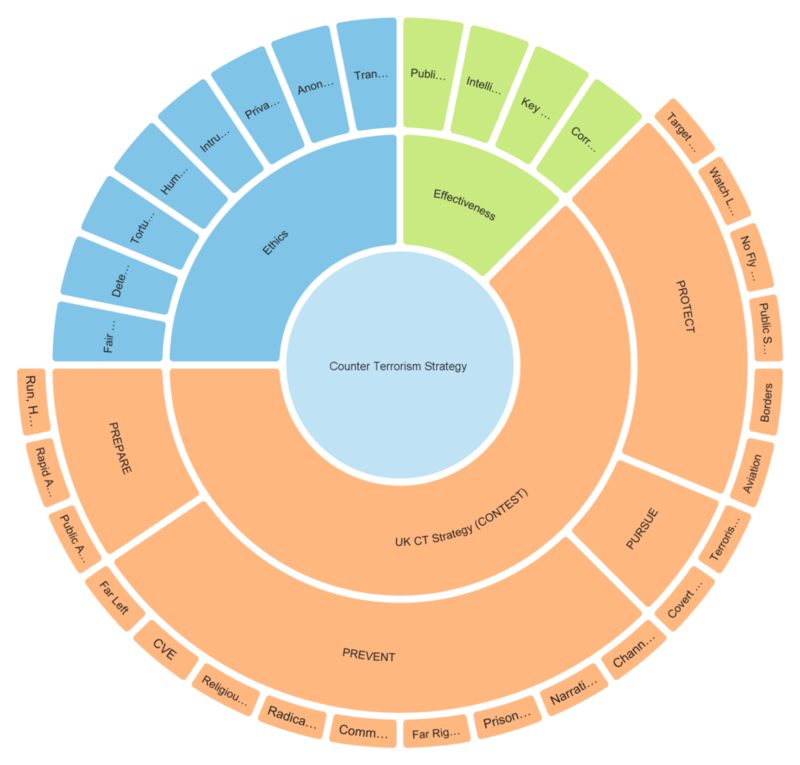 Extensive training and awareness schemes have been delivered to hundreds of thousands across the National Health System (NHS), schools, universities, faith and community organisations, central and local government and the prison and police services (Jeory and Cockburn, 2016). A perceived lack of commitment to countering radicalising narratives has however been raised by (Gove, 2006, pp. 84-113) and (Phillips, 2008, pp. 33-56), contending that inertia and a lack of moral courage gifted safe-haven to global radicalising elements (Gold, 2003, pp. 125-155) within the UK for many years. In their view, the British state pursued a dangerously ill-judged policy of appeasement, with significant impact on the credibility and effectiveness of domestic counter-terrorism. 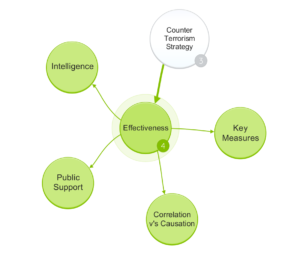 Effective recruitment is essential to the sustainment and growth of terrorist organisations. Terrorism narratives twist and elevate grievances, seeking to highlight injustice, presenting what they believe to be ethical, moral or divine mandates for violent action. Recruitment and radicalisation occur online (Hoffman, 2006, pp. 197-228), through the mainstream media, in schools, community groups, religious institutions and in prisons. Reporting and removal of subversive materials online has grown in importance as technology has become a key enabler for self-radicalisation (Weimann, 2010). Ethical questions concerning the legitimacy of anti-establishment discourse, free speech and the freedom of the press are raised (Mijatović, 2016). The protection of vulnerable prisoners may necessitate prison population segregation and potentially special category status for terrorist offenders. The ethics, complexities and perhaps folly of politicising prisoner status is replete in the history of the Northern Ireland Troubles (Ryder, 2000, pp. 105-125). Expansive securitisation and the growing influence of the state in many areas of private life raises questions about privacy (Council of Europe, 2010, p. 10) and personal freedom as well as personal and collective responsibility for rebutting violent narratives. Grievances may be exacerbated through asymmetric focus on individual communities or religious groups, negating the effectiveness of preventative action. Unpopular security measures such as ‘stop and search’ (Whittaker, 2009, pp. 101-104), directed and intrusive surveillance and raids may further alienate communities, damage trust and impede the acceptance and effectiveness of PREVENT. This is further complicated by the increasing spectrum of recruitment targets from school girl Jihadi brides (Shackle, 2016) to domestic and international suicide bombers (Britten, Waterhouse and O’Neill, 2003), to foreign fighters and a continuing threat from Northern Ireland Related Terrorism (NIRT). In some quarters, the state’s ability to counter radicalising narratives without assistance and cooperation of community groups is debatable. Public money has been provided in Northern Ireland for conflict transformation projects linked to paramilitary groups (Morris, 2016). This may well have a positive effect on community transformation and a reduction in the threat of future violence. It does however raise important questions about the ethical use of public funds (Westrop, 2014) and the need for transparency and scrutiny of grant awards. This necessitates the examination of the objectives and ideological sympathies of groups seeking PREVENT funding. Their aims should not be incongruous with those of liberal, secular democracy. 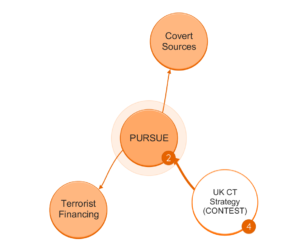 The primary aim of the PURSUE sub-strategy is the detection and disruption of domestic and international terrorist threats. An array of signals (SIGINT) and human (HUMINT) intelligence capabilities is drawn together including intrusive and directed methods. 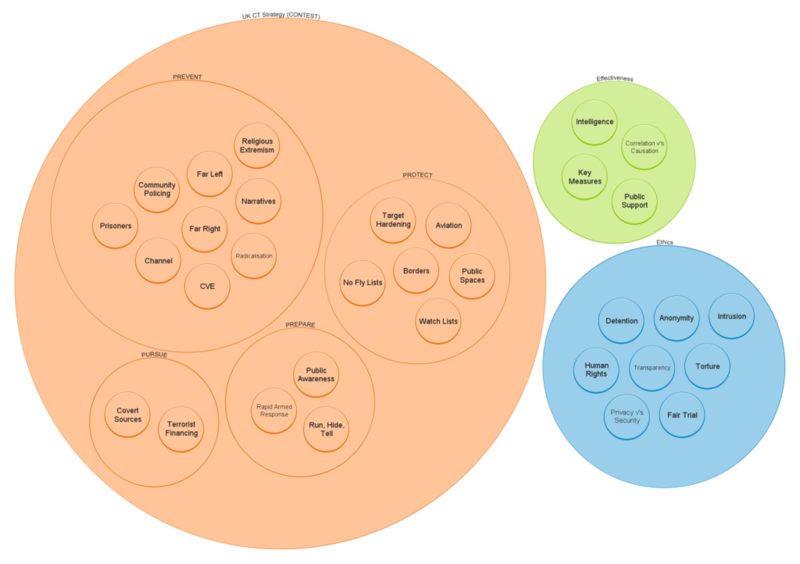 In addition, Image Intelligence (IMINT) and increasingly Open Source Intelligence (OSINT) combine to create a ‘rich picture’ of terrorist networks and potential threat sources. Infiltration of terrorist groups and the use of informers or Covert Human Intelligence Sources (CHIS) raises further ethical questions. In the intelligence war against paramilitary groups in Northern Ireland, informers were recruited, paid and protected by a range of state actors including the Royal Ulster Constabulary (RUC) Special Branch (Barker, 2006, pp. 125-135), military intelligence (including the Force Research Unit) and MI5 (Dillon, 1991, pp. 93-123). Agents provided vital intelligence and disrupted terrorist activities, but are alleged in some cases to have been given ‘license’ to carry out illegal and potentially murderous activities (Harkin and Ingram, 2004, pp. 60-94). Blackmail, bribery and other coercive recruitment and interrogation techniques (Bamford, 2009, p. 265) are alleged along with collusion between security forces and paramilitary agents (Stalker, 1987, pp. 22-77), although a great deal of this discourse is contested. Ethical and legal regulation of the use of CHIS (Billingsley, 2009, pp. 43-55) is essential and codified within RIPA. 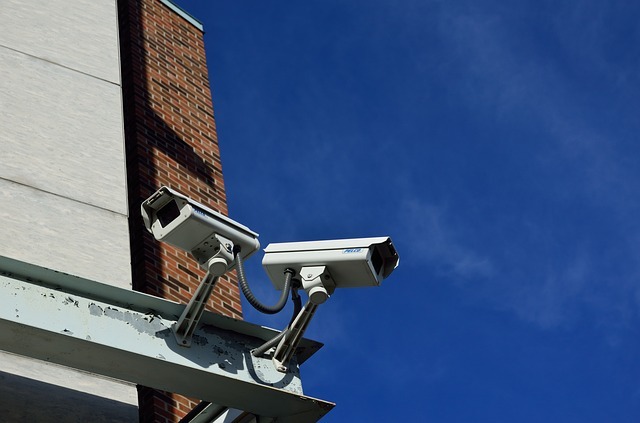 The state owes a duty of care to the CHIS, to protect them from detection and to remove them from operations if detection is suspected or confirmed. As noted by (Omand, 2009, p. 398) however, secret intelligence and moral idealism are somewhat immiscible. Disruption of terrorist financing, detention and prosecution of suspects, deportation and exclusion of terrorist supporters are important focuses for counter-terrorism policy. Proscription, asset freezing and criminalisation of terrorist fundraising denies groups much needed cash for arms, equipment and training. Debate on the ethical detention of terrorist suspects ranges from the historical use of mass internment (Finnane and Donkin, 2013, pp. 7-9) and supergrasses in Northern Ireland (Macken, 2013, pp. 9-10) to the admissibility of intercept evidence and the acceptable period of detention before charge. The deportation or extradition of terrorist suspects to potentially abusive regimes has faced legal challenge under Article 3 of the ECHR (Davis and de Londras, 2016, pp. 302-323). In cases where there is insufficient evidence for prosecution, or deportation would contravene domestic or international legislation, Terrorism Prevention and Investigation Notices (TPIMs) may be sought. An instrument introduced in the (Terrorism Prevention and Investigation Measures Act, 2011) TPIMs seek to disrupt an individual’s ability to participate in ongoing terrorist activities. As a primary aim of PURSUE is to secure successful criminal prosecutions, the UK must operate an open, fair and transparent judicial system, complying with the requisite articles of the EHCR. Terrorists may however benefit from prosecution, gaining insight into security and intelligence service methods (Matchett, 2016, p. 204). Perceptions of unfair detention or harassment could also generate blowback and further fuel grievances and associated radicalising narratives. Disruption of terrorist activities domestically and internationally has involved the use of Special Forces. Lethal outcomes in counter-terrorism operations in the context of NIRT includes the Special Air Service (SAS) ambush of PIRA terrorists in Loughgall in 1987 (Urban, 1996, pp. 227-237) and the killing of PIRA terrorists in Gibraltar (Taylor, 1998, p. 298). Decapitation and targeted killing as a strategy to frustrate or end terrorist campaigns (Cronin, 2011, pp. 14-34), (Dear, 2013) sits uneasily within a conceptualisation of ‘terrorism as crime’ (Miller, 2009, pp. 83-116). Police primacy and criminal prosecution arguably ‘give way’ in a conceptualisation of ‘terrorism as war’ (Ibid, pp. 4-5) to the Geneva Conventions. 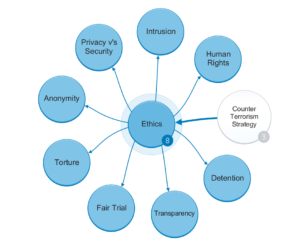 In this context, counter-terrorism may legitimise the use of drone and air strikes, detention without trial and coercive forms of interrogation. An ethical question arises as to the legitimacy of revenge assassination operations (Reeve, 2006, pp. 160-174) such as those targeting the perpetrators of the Munich Olympics atrocity in 1972. Similarly, a liberal democracy may normatively eschew (in absolutist terms) the use of torture, there may be (taking a consequentialist perspective) justification for its limited use. For example, Professor Alan Dershowitz from Harvard Law School has proposed the use of “Torture Warrants” (Dershowitz, 2003, pp. 276-279). These would be used to limit the use of torture to exceptional ‘ticking bomb’ scenarios. The effectiveness of enhanced interrogation and torture is however far from proven (Senate Select Committee on Intelligence, 2015, pp. 3-22). Dershowitz’s proposals have generated extensive oppositional debate and seem unlikely to be adopted. The PROTECT sub-strategy focuses on the mitigation of diverse terrorism threats including those to critical national infrastructure, civil nuclear, aviation, chemical and industrial and public spaces. Increased border security, monitoring of passenger movements, cargo security and scanning technologies have been employed as counter-measures. Since 9/11 there has been extensive growth in global surveillance and analysis of passenger movements along with watch lists and no fly lists (Cole, 2015, pp. 1-5). Entry and travel bans targeting high-risk suspects based on quality intelligence is proportionate. 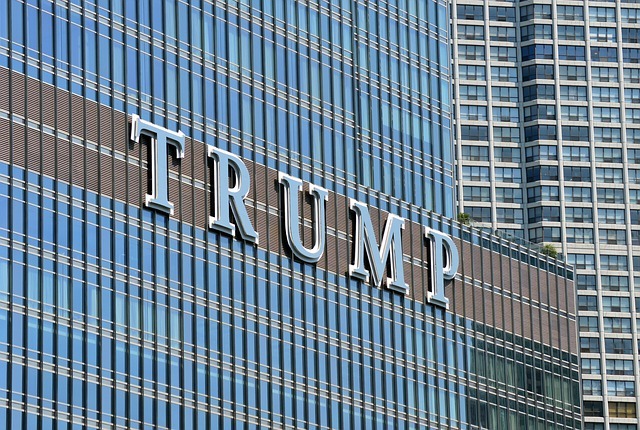 President Trump’s attempt to ban entire nationalities from entering the United States (Vitkovskaya et al., 2017) could be regarded as an unwise and egregious case of collective punishment. Plots by terrorists to target weaknesses in air cargo security have been disrupted in Yemen (Gardham, 2010), and the UK government has intervened in Sharm el-Sheik to mitigate perceived laxity in Egyptian aviation security (Calder, 2016). The decision to introduce additional security restrictions on flights from Egypt, Tunisia, Turkey, Lebanon, Saudi Arabia and Jordan (Morris, 2017) reinvigorates debate about proportionality and passenger disruption. There are ethical questions concerning the right to freedom and anonymity and a degree of controversy over the introduction of expensive UK government programmes including eBorders (Casciani, 2014). The scrapping of UK National Identity Card proposals in 2010 highlighted ideological differences between Labour and the Conservative / Liberal Democrat coalition. This demonstrates some of the intricacies of developing integrated policies, harmonious with diverse public and political opinion. Regulation of the use of biometric and DNA data is codified in the Protection of Freedoms Act (2012). There is a high ethical burden on government and private sector partners to ensure sensitive information is protected from misuse, loss, theft or other compromise. The internationalisation of terrorism and threats originating in weak and fragile states amplifies the importance of the UK’s role in improving the counter-terrorism capabilities of foreign states. In acting to mitigate risks to UK domestic and foreign interests however, ethical concerns arise if assistance is provided to authoritarian states or those with poor human rights records or institutionalised corruption. Killing and maiming civilians in mass casualty attacks is a favoured tactic of Jihadi terrorists. A plethora of options including public transportation, tourist sites, places of worship, shopping centres, sports venues, markets, bars, clubs and restaurants (Hewitt, 2008, pp. 70-71) provide an almost inexhaustible supply of soft targets. The government and counter-terrorism agencies bear a high moral responsibility for protecting society from these threats. In protecting society, ethical questions arise as to proportionate and acceptable levels of armed policing, overt and covert surveillance in private and public spaces (Whittaker, 2009, p. 97) and the use of legal powers to curtail activities such as photography. Debate in the UK following the Westminster terrorist attack (Allen and Henderson, 2017) has brought the question of armed policing to the fore (Tapsfield, 2017). The militarisation and de-normalisation of UK society would be a victory for terrorists and risks diminishing personal freedoms and liberal ideals. The appointment of a counter-terrorism manager by Manchester United Football Club (Stone, 2017) is an indicator of shifting norms and creeping securitisation. This is further characterised by deliberations at the Sousse inquest (Grierson, 2017) where ‘responsibility to protect’ was examined in relation to the travel operator. As the apocalyptic ambition of terrorists rises, threats against nuclear, chemical and biological sites become increasingly plausible. The implications of a successful attack of this nature would be extremely severe. Ensuring that counter-terrorism operations are not compromised by leaks, double-agents or moles requires robust vetting and monitoring procedures (Wettering, 2009, pp. 285-286). There is a duty of care to protect government officials, CHIS, intelligence and police officers from insider threats. 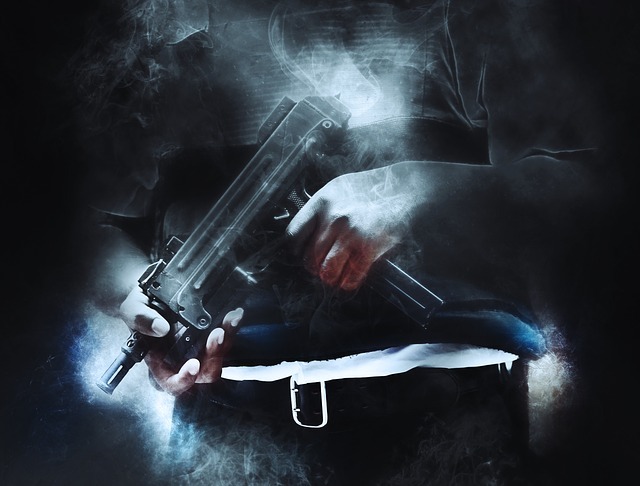 In Northern Ireland, terrorist infiltration of the police and civil service has been alleged along with damaging security comprises including the PIRA raid on RUC Special Branch at Castlereagh (Cowan, 2002). Unnecessarily risking the security of counter-terrorism operatives through laxity or complicity is clearly unethical. Controls must also be in place to ensure that security service personnel do not abuse their privileged access to information. The PREPARE sub-strategy recognises that not all terrorist plots will be detected or otherwise deterred. Minimising the impact of a successful attack is therefore a key focus of counter-terrorism policy. The ability to rapidly deploy armed police or Special Forces personnel across the UK is both essential and operationally complex. The terrorising effect of a prolonged and sustained attack could lead to public demoralisation and lost confidence in government and its security apparatus. Public education is an important aspect of an holistic approach, but the utility of ‘run, hide, tell’ (Krol, 2015) seems at best, rather basic. 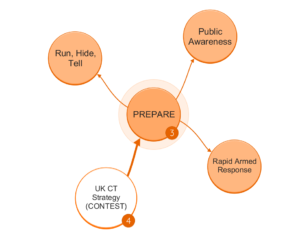 Scenario planning, training and multi-agency counter-terrorism exercises are valuable. In the construction of the exercise, clumsy stereotyping or stigmatisation (Dearden, 2016) must be avoided. The need for seamless communication and operational integration of emergency services is a key lesson from the 7/7 bombings. Robust counter-terrorism policy must therefore work to construct an agile, but highly organised multi-tiered, multi-agency response. A complicating nexus of globalisation, demographic change and technological advance is creating new opportunities for extremists. 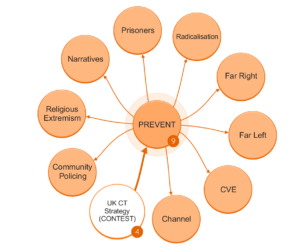 Terrorism is highly adaptive and loan actor terrorism, NIRT, cyber, homegrown and international Jihadi terrorism constitute a complex UK threat landscape. An immutable requirement for a liberal democracy is to deliver counter-terrorism response within strict legal and ethical frameworks. These must integrate across a range of public and private sector institutions and operate at scale to transparent and well governed standards. Policy must engender cross-community and cross-political support and be sustainable and adaptive over the long-term. To carefully balance the risk of diminishing individual freedoms and privacy, security benefits must be well defined and measurable. Seemingly unnecessary use of counter-terrorism powers (for example by local authorities) raises concerns over legal trivialisation, risking a backlash in public support. Controversial methods such as bulk data collection and invasive surveillance further risks public alienation and mistrust. Diligence of the public and cooperation with law enforcement are critical elements in defeating criminal and terrorist threats. Damage to public confidence could significantly impact the utility of counter-terrorism measures. In the international context, the use of drone strikes, targeted killings and enhanced interrogation raise important questions for the UK and its relationship with strategic allies. President Trump’s views on the use of enhanced interrogation could signal a hardening of US doctrine. As terrorists aim to provoke states to respond excessively, it is critical that robust counter-terrorism is viewed from a strategic and not exclusively tactical perspective. The temptation to suspend or bend ethical and moral commitments in the face of a serious (or even existential) threat may seem unavoidable. Long-term consequences could however include the exacerbation of grievances, increasing receptivity to terrorist narratives and support for the perpetrators of escalating atrocities. 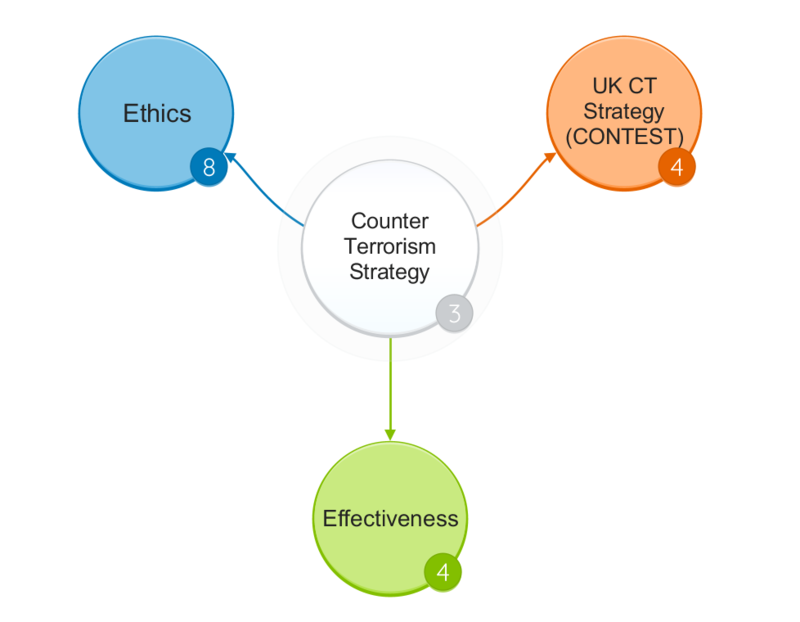 We really hope you found our article on Counter Terrorism Strategy useful and enjoyable. Allen, E. and Henderson, B. (2017) Westminster attack: Everything we know so far about the events in London, The Telegraph. London. Available at: http://www.telegraph.co.uk/news/2017/03/22/westminster-terror-attack-everything-know-far/. Barker, A. (2006) Shadows: Inside Northern Ireland’s Special Branch. Mainstream. Billingsley, R. (2009) Covert Human Intelligence Sources: The ‘Unlovely’ Face of Police Work. Waterside Press. Britten, N., Waterhouse, R. and O’Neill, S. (2003) ‘What turned two happy teenagers into hate-driven suicide bombers?’, May. Available at: http://www.telegraph.co.uk/news/worldnews/middleeast/israel/1428984/What-turned-two-happy-teenagers-into-hate-driven-suicide-bombers.html. Calder, S. (2016) Sharm el Sheikh: still off the airline map, The Independent. Available at: http://www.independent.co.uk/travel/news-and-advice/sharm-el-sheikh-flights-still-banned-uk-government-tourism-a7387391.html. Casciani, D. (2014) ‘Home Office ordered to pay £224m to e-Borders firm’, BBC News, August. Available at: http://www.bbc.co.uk/news/uk-28840966. Cole, J. P. (2015) Terrorist Databases and the No Fly List: Procedural Due Process and Hurdles to Litigation, Congressional Research Service. ‘CONTEST: The United Kingdom’s Strategy for Countering Terrorism’ (2011). Council of Europe (2010) European Convention on Human Rights. Available at: http://www.echr.coe.int/Documents/Convention_ENG.pdf. Davis, F. F. and de Londras, F. (2016) Critical Debates on Counter-Terrorism Judicial Review. Cambridge University Press. Dear, K. P. (2013) ‘Beheading the Hydra? Does Killing Terrorist or Insurgent Leaders Work?’, Defence Studies. Routledge, 13(3), pp. 293–337. doi: 10.1080/14702436.2013.845383. Dearden, L. (2016) Police apologise for making fake suicide bomber shout ‘Allahu Akbar’. Available at: http://www.independent.co.uk/news/uk/home-news/police-apologise-for-making-fake-suicide-bomber-shout-allahu-akbar-during-counter-terror-exercise-in-a7022196.html. Dershowitz, A. (2003) ‘The Torture Warrant: A Response to Professor Strauss’, New York Law School Law Review, 48, pp. 275–294. Available at: http://www.pem.cam.ac.uk/wp-content/uploads/2012/07/1B-Dershowitz-article.pdf. Dillon, M. (1991) The dirty war. Arrow Books. Finnane, M. and Donkin, S. (2013) ‘Fighting Terror with Law ? Some Other Genealogies of Pre-emption’, International Journal for Crime and Justice, 2(1), pp. 3–17. Foley, F. (2014) Countering terrorism in Britain and France: Institutions, Norms and the Shadow of the Past. Gardham, G. R. and D. (2010) ‘Cargo plane bomb plot: ink cartridge bomb “timed to blow up over US”’, November. Available at: http://www.telegraph.co.uk/news/uknews/terrorism-in-the-uk/8124226/Cargo-plane-bomb-plot-ink-cartridge-bomb-timed-to-blow-up-over-US.html. Gold, D. (2003) Hatred’s Kingdom: how Saudi Arabia supports the new global terrorism. Regnery. Gove, M. (2006) Celsius 7/7. Weidenfeld & Nicolson. Grierson, J. (2017) ‘Families of Tunisia beach attack victims to sue travel company’, The Guardian, February. Available at: https://www.theguardian.com/world/2017/feb/28/tunisia-sousse-beach-attack-victims-were-unlawfully-killed-coroner-rules. Hoffman, B. (2006) Inside terrorism. Columbia University Press. Jeory, T. and Cockburn, H. (2016) Over half a million public sector workers have undergone counter-terror training, The Independent. Available at: http://www.independent.co.uk/news/uk/crime/extremism-prevent-counter-terror-training-public-sector-workers-bid-to-spot-a7152466.html. Krol, C. (2015) ‘“Run, hide and tell”: Watch what to do in a firearms or weapons attack’, December. Available at: http://www.telegraph.co.uk/news/uknews/terrorism-in-the-uk/12057122/Run-hide-and-tell-Watch-what-to-do-in-a-firearms-or-weapons-attack.html. Macken, C. (2013) Counter-terrorism and the Detention of Suspected Terrorists: Preventive Detention and International Human Rights Law. Routledge. Mijatović, D. (2016) The fight against terror should not be a fight against basic human rights – Index on Censorship Index on Censorship, X Index. Available at: https://www.indexoncensorship.org/2016/09/dunja-mijatovic-fight-terror-not-fight-basic-human-rights/. Morris, A. (2016) Executive Office defends using UDA-linked group to manage £1.7m project. Available at: http://www.irishnews.com/news/northernirelandnews/2016/10/04/news/executive-office-defends-using-uda-linked-group-to-manage-1-7m-project-719292/. Morris, H. (2017) ‘Bizarre’ laptop ban could spark rise in air rage, says security expert, The Telegraph. Available at: http://www.telegraph.co.uk/travel/news/electronics-ban-will-harm-international-trade-mean-more-unruly-passengers/. Omand, D. (2009) ‘Ethical guidelines in using secret intelligence for public security’, in Andrew, C., Aldrich, R. J., and Wark, W. K. (eds) Secret Intelligence: A Reader. Routledge, pp. 395–410. Phillips, M. (2008) Londonistan: How Britain Has Created a Terror State Within. London: Gibson Square Books Ltd.
Reeve, S. (2006) One Day in September. Arcade. Ryder, C. (2000) Inside the Maze: The Untold Story of the Northern Ireland Prison Service. Methuen. Senate Select Committee on Intelligence (2015) The Senate Intelligence Committee report on torture : committee study of the Central Intelligence Agency’s Detention and Interrogation Program. Melville House. Shackle, S. (2016) The London girls lost to Isis: what became of the ‘jihadi brides’. Available at: http://www.newstatesman.com/culture/observations/2016/10/london-girls-lost-isis-what-became-jihadi-brides. Stalker, J. (1987) Stalker. Harrap. Stone, S. (2017) ‘Manchester United appoint full-time counter-terrorism manager’, BBC Sport, January. Available at: http://www.bbc.co.uk/sport/football/38661302. Tapsfield, J. (2017) EXC: MPs complained about armed police at Parliament gates, Mail Online. Available at: http://www.dailymail.co.uk/~/article-4346698/index.html. Taylor, P. (1998) Provos: The IRA and Sinn Fein. London: Bloomsbury. Terrorism Prevention and Investigation Measures Act 2011 (2011). Available at: http://www.legislation.gov.uk/ukpga/2011/23/pdfs/ukpga_20110023_en.pdf. Vitkovskaya, J., Epstein, K., Uhrmacher, K. and Granados, S. (2017) Who is affected by Trump’s travel ban, Washington Post. Available at: https://www.washingtonpost.com/graphics/national/immigration-order-explainer/. Weimann, G. (2010) ‘Terror on facebook, twitter, and youtube’, Brown Journal of World Affairs, 16(ii), pp. 45–54. doi: Article. Westrop, S. (2014) UK Charity Commission Fails to Regulate Extremist Charities, Gatestone Institute . Available at: https://www.gatestoneinstitute.org/4124/uk-charity-commission-extremist-charities. Wettering, F. L. (2009) ‘Counterintelligence: The Broken Triad’, in Andrew, C., Aldrich, R. J., and Wark, W. K. (eds) Secret Intelligence: A Reader. Routledge, pp. 281–307. Whittaker, D. J. (2009) Counter-terrorism and human rights. Longman.